Likes: The second Rei treasures Gendou´s glasses... And Shinji, too ^_^! Rei is a girl of mystery. She had no parents, and infertile (no mestruation). She isn´t totally human. Is part angel, and part human. Her human part is from Ikari Yui, Ikari Shinji's mother and Ikari Gendou´s wife, and her Angel part, apparently comes from Lilith. 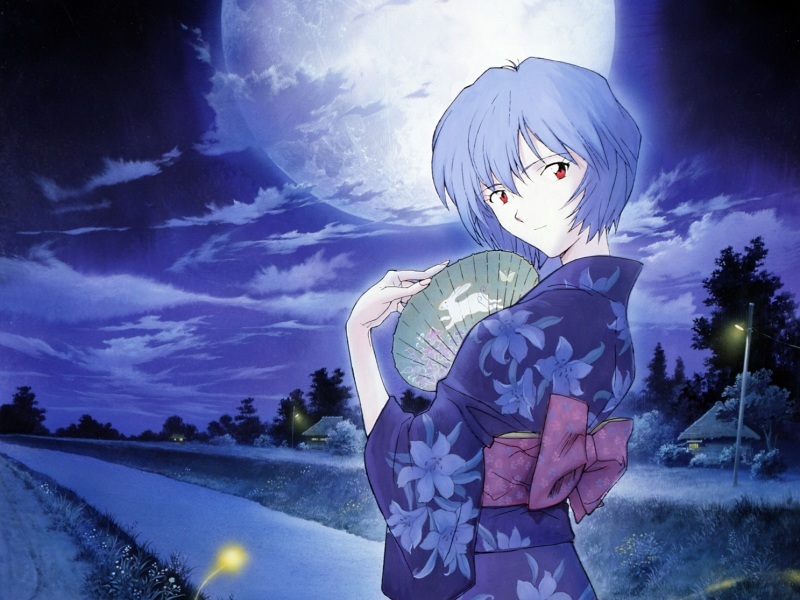 In "The end of Evangelion", Rei becomes one with Lilith, and Lilith tells her "Welcome back, Rei". How do I know that Rei is part Angel? Just look at her eyes: They are red. Also, she can have an AT field, in the episode when Shinji kills Kaworu Nagisa, Rei makes an AT field around her. Actually, Rei isn´t ONE. In the series, there are three Rei´s. And, in the lowest part of the central dogma, are hundreds of Reis, flooding in L.C.L. Every Rei, has a different character. The second Rei, for example, could DIE if Gendou tells her to die, and she treasures too much Gendou´s glasses. And, the third Rei tells Gendou when he asked her to take him to Lilith: "I´m not your doll". She is a very enigmated character, with a very quiet personality, and apparently, without emotions. The first time she cryed, she say: "Are these tears? Am I crying?". And, she hardly smiles, you don´t know what is she thinking, because she usually has the same expression in her face! An expression that you don´t know, if is a sad expression, or a serious expression. DISCLAIMER: Every Copyrighted material is property of their respective owners. Shinseiki Evangelion is property of GAINAX co./Project eva, etc.